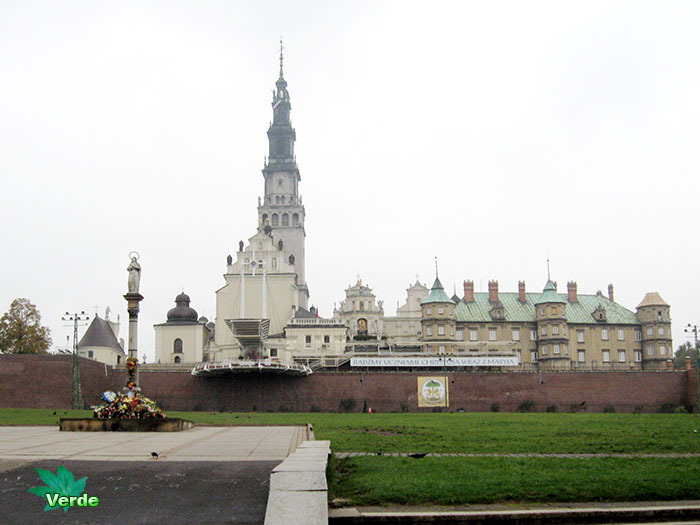 Częstochowa is a city in south Poland, Slaskie province, on the Warta River. 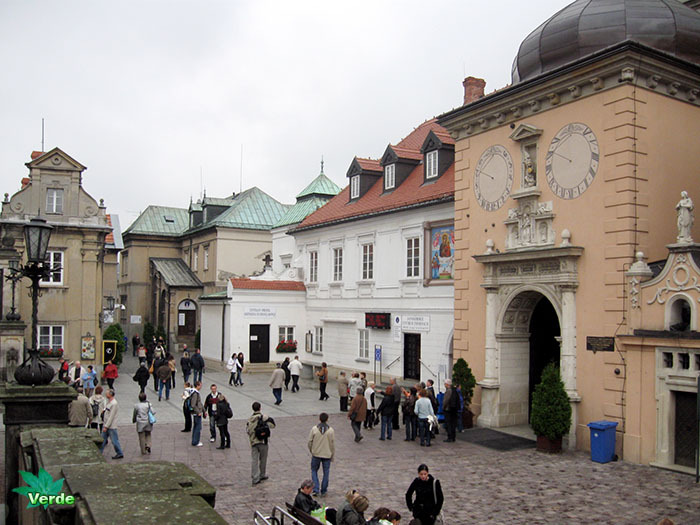 The name of Częstochowa means Częstoch’s place and comes from a personal name of Częstoch mentioned in the medieval documents also as Częstobor and Częstomir. 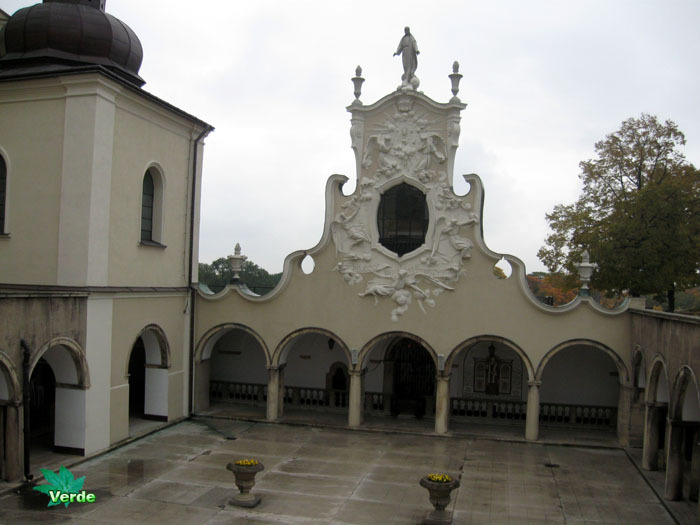 Variations of the name include Czanstochowa used in 1220, and Częstochow used in 1382 and 1558. 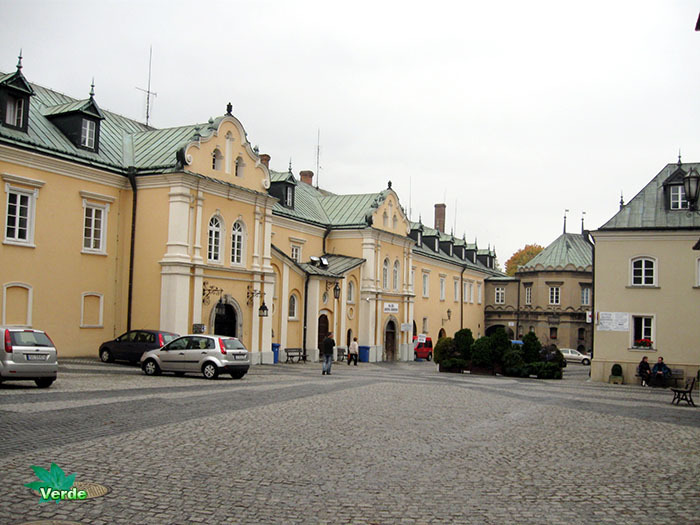 A part of today’s city called Częstochówka was a separate municipality mentioned in 14th century as the Old Częstochowa (Antiquo Czanstochowa, 1382) and Częstochówka in 1470-80. 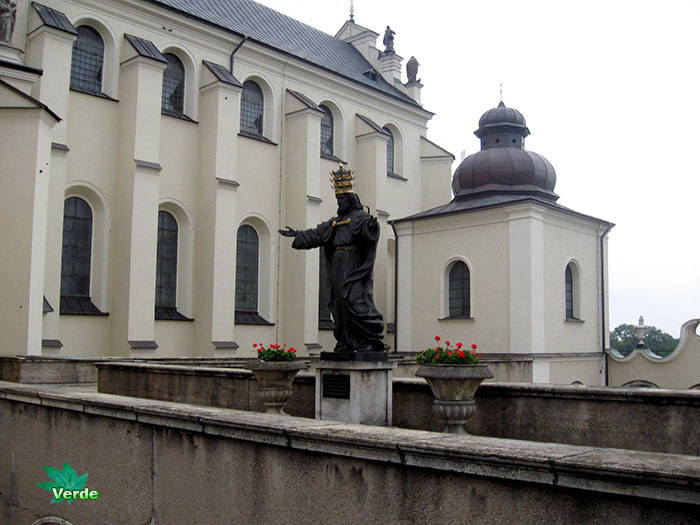 The Black Madonna of Częstochowa (Czarna Madonna or Matka Boska Częstochowska in Polish, Imago thaumaturga Beatae Virginis Mariae Immaculatae Conceptae, in Claro Monte in Latin, Ченстоховская икона Божией Матери in Church Slavonic) is a holy icon of the Virgin Mary, that is both Poland’s holiest relic and one of the country’s national symbols. 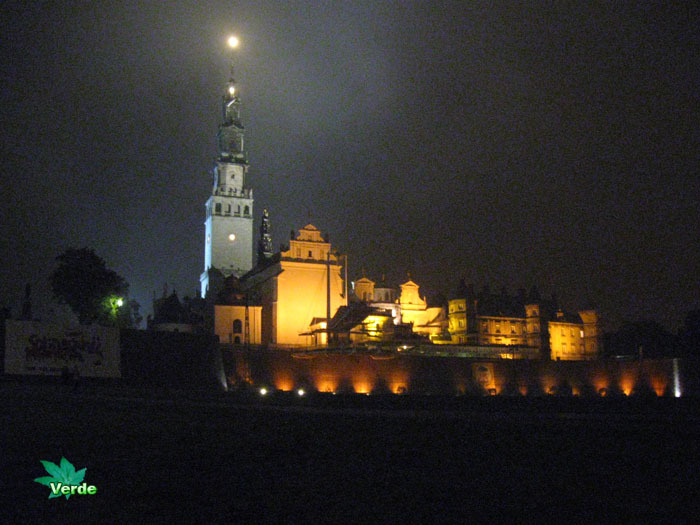 Every year, millions of pilgrims from all over the world come to Częstochowa to see it. The origins of the icon and the date of its composition are still hotly contested among scholars. The difficulty in dating the icon stems from the fact that the original image was painted over after being badly damaged by Hussite raiders in 1430. Medieval restorers unfamiliar with the encaustic method found that the paints they applied to the damaged areas “simply sloughed off the image” according to the medieval chronicler Risinius, and their solution was to erase the original image and to repaint it on the original panel, which was believed to be holy because of its legendary origin as a table top from the home of the Holy Family. The painting displays a traditional composition well-known in the icons of Eastern Orthodoxy. The Virgin Mary is shown as the “Hodegetria” (“One Who Shows the Way”). In it the Virgin directs attention away from herself, gesturing with her right hand toward Jesus as the source of salvation. In turn, the child extends his right hand toward the viewer in blessing while holding a book of gospels in his left hand. The icon shows the Madonna in fleur de lys robes. Photoreview. Pictures taken at 7 of October, 2008. 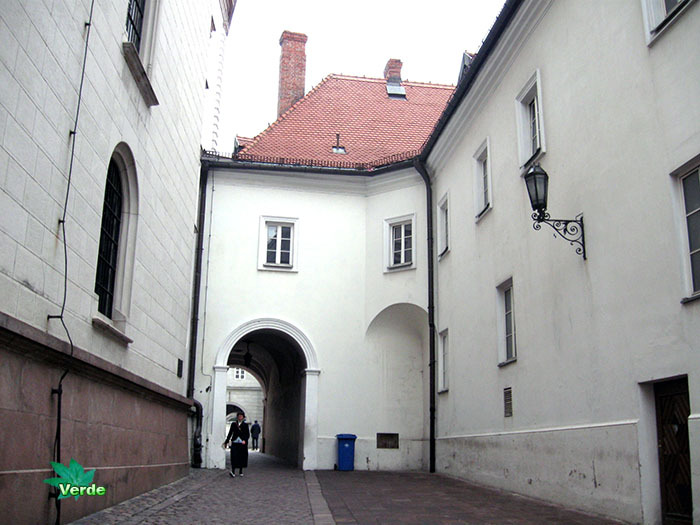 I also recommend to visit Warsaw is city with a rich history, a friendliest people. 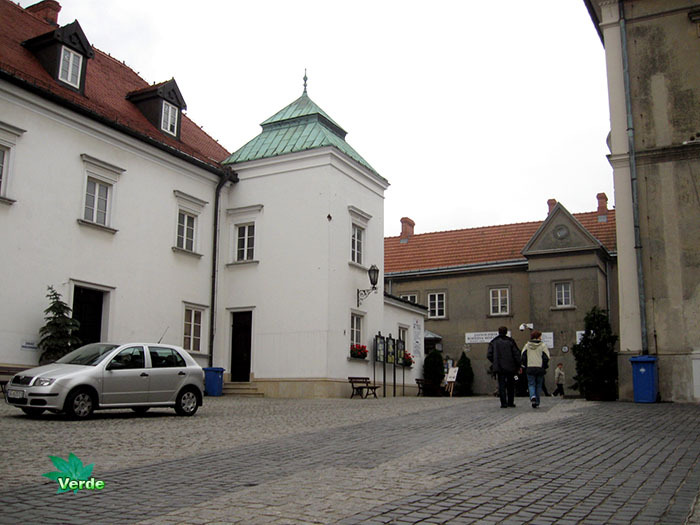 For a good choice of hotels with discount prices, visit Place to stay in Warsaw for more information. Next The freakish things in evening forest.